No matter how large or small, achieving growth within your Group is something to be celebrated. 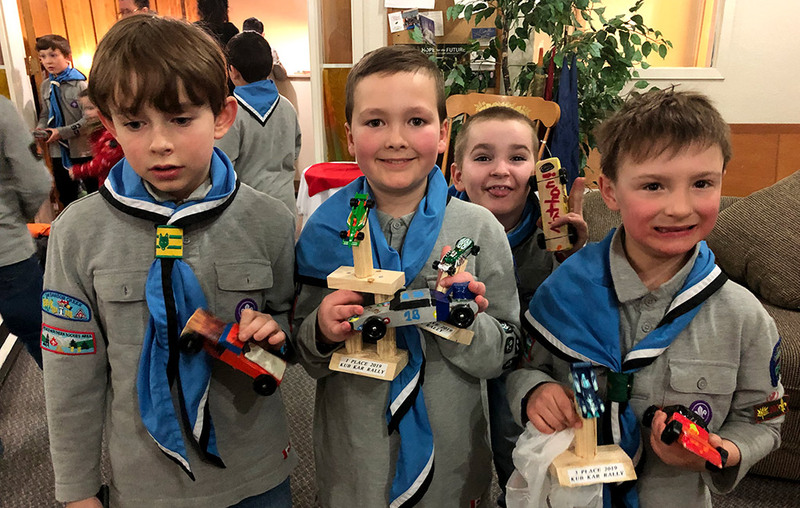 This month we are celebrating a Scouting Group that showed us what a renewed interest for Scouting and a growing support from the community can accomplish. The 1st Dawson Creek Scout Group welcomed 14 new youth last year, more than doubling their Scouting family! “We live in a community that has a long history of Scouting but had no Group for many years. Our current Group is in its third year of operations and has seen a huge increase in community support,” said Krystal Reid, 1st Dawson Creek Group Commissioner, “We are finding that people who participated in the Scouting program as youth are showing renewed interest as adults, and so we have great parent involvement,” Krystal continued. 1st Dawson Creek focuses on giving much-needed support and necessary knowledge to its Scouters, enabling them to facilitate great, safe Scouting adventures for the youth. “We recognize that everyone has something to contribute to the Group. We believe that having fun adventures with youth and being a positive role model is our top priority as Scouters, ” Krystal shared. The Group ensures that each new Scouter has a mentor within the Group to answer their questions, teach skills and help new Scouters learn about Scouting. The Group also provides Scouter Development weekends to teach new skills and strengthen the team’s dynamic. Additionally, 1st Dawson Creek kicks off each season with a planning meeting for each Section, to ensure that all youth benefit from Youth-led programming along The Canadian Path. Sections also follow the Plan-Do-Review method to continually improve on future adventures. “The youth plan skills they want to learn, adventures they want to do and camps they want to attend,” Krystal explained. While Cubs and Scouts enjoy camping at least once per season, Beavers prepare for summer camping by sharing sleepovers in the meeting hall. “Our kids consistently ask for camping and hiking adventures, so a huge focus of the program is to develop camping skills,” said Krystal. Last year, some 1st Dawson Creek youth and Scouting families went to Camp Sagitawa. While there, the youth got to expand on their paddling skills, archery, rock climbing and zip-lining. “For some youth, going to camp is their first time away from their parents, and watching the excitement on their faces is amazing!” Krystal shared. None of these great camp adventures would be possible for Scouting youth without the help of our dedicated Volunteers, along with community and families supporting as well. It Starts with Scouts! What Happens at a Scouter Meeting? New Plan-Do-Review video – from Scouts Australia!